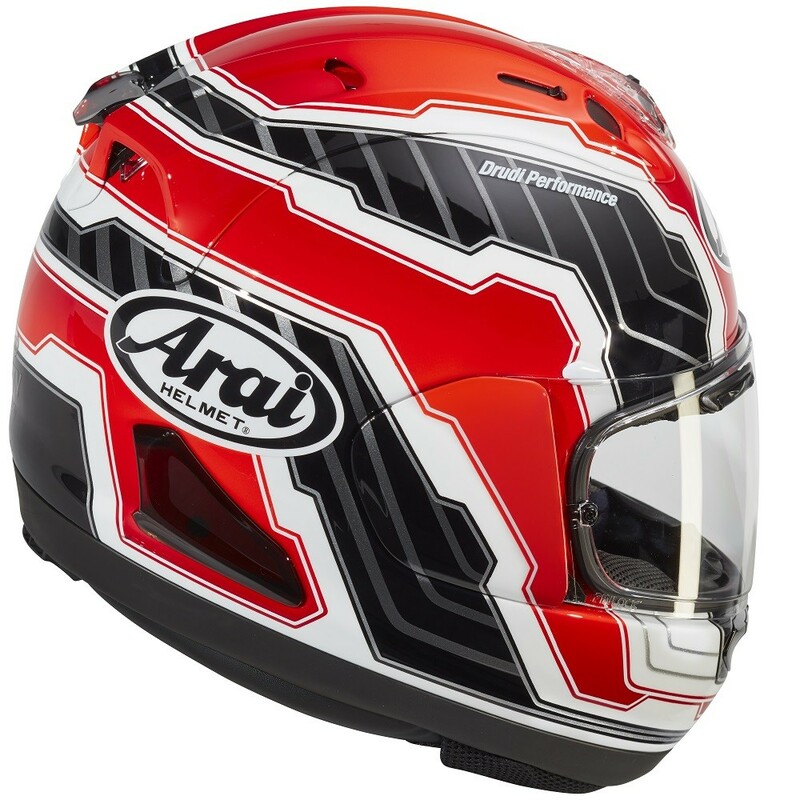 New for 2018, the Arai RX-7V Mamola Edge. 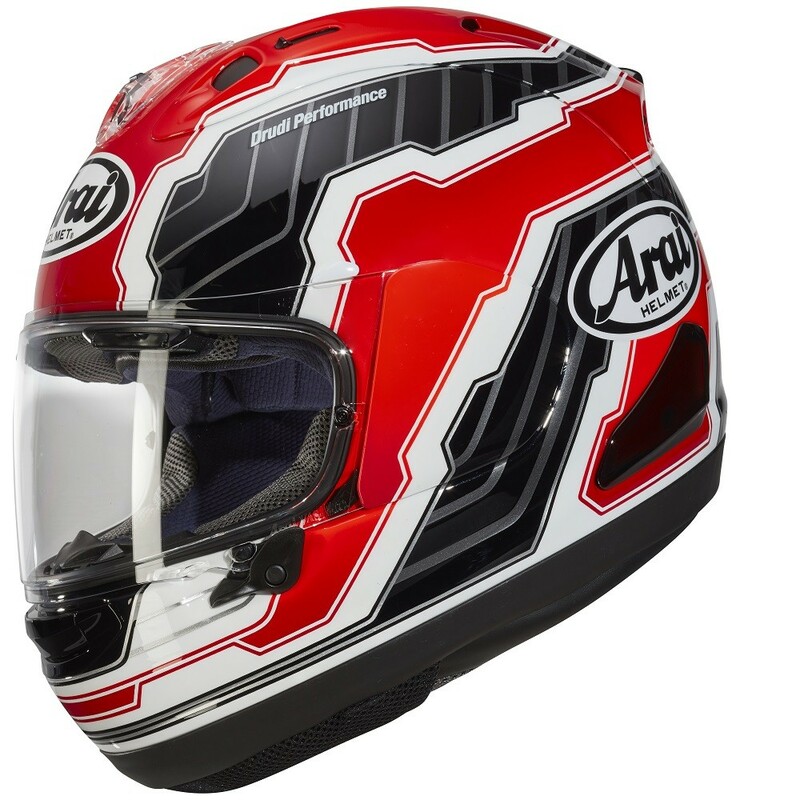 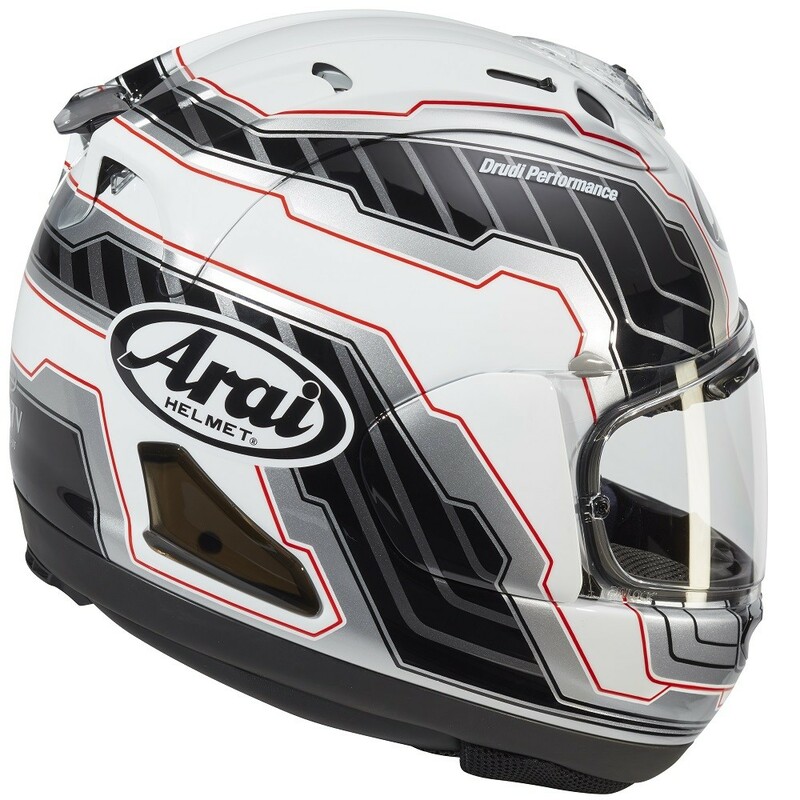 To celebrate the success of motorcycle legend Randy Mamola, Arai have released a replica model in our flagship helmet. 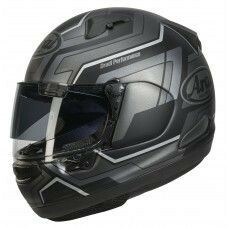 Available in 2 different colours. 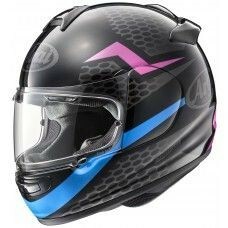 Assembled and bonded within Super Fiber and other special synthetic fibers. 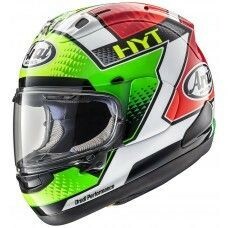 These special fibers are also used for the visor panel of F-1 helmets and have superb characteristics in tensile strength and flexibility. 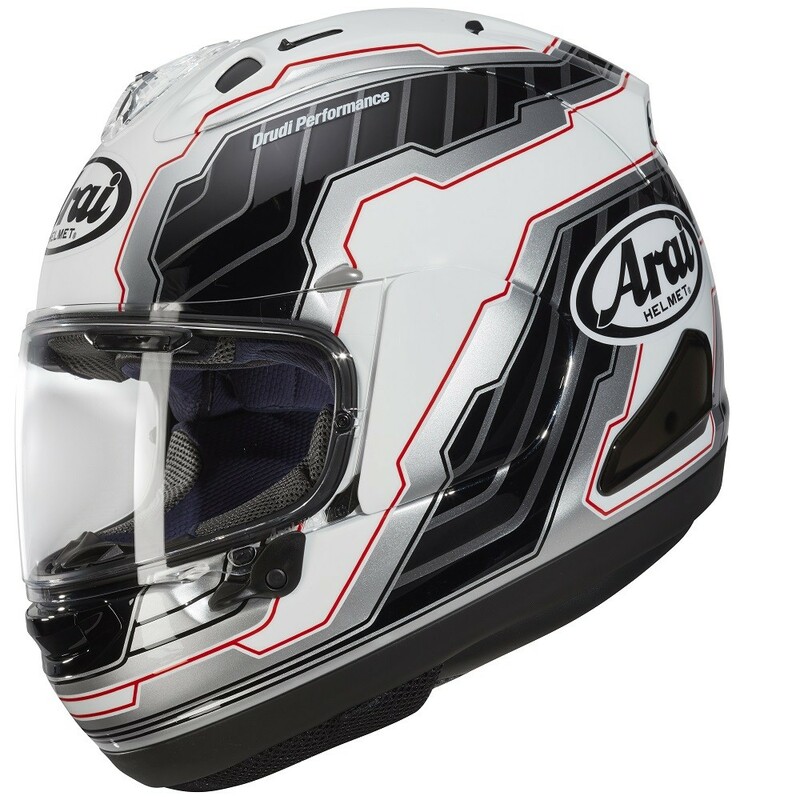 Our shells are carefully molded with multiple material layers including a Super Fiber belt across the helmet, just above the visor opening for extra strength. 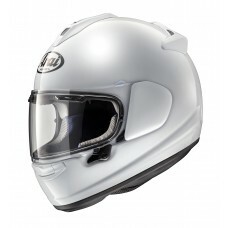 We have also developed a new resin in pursuit of a lightweight but very strong shell.